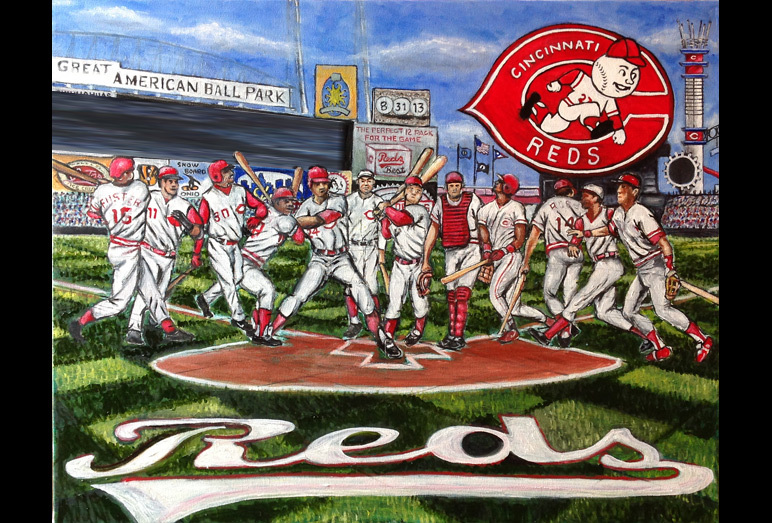 Cincinnati Reds Tribute -- Painting Progression -- Use controls to view all images. 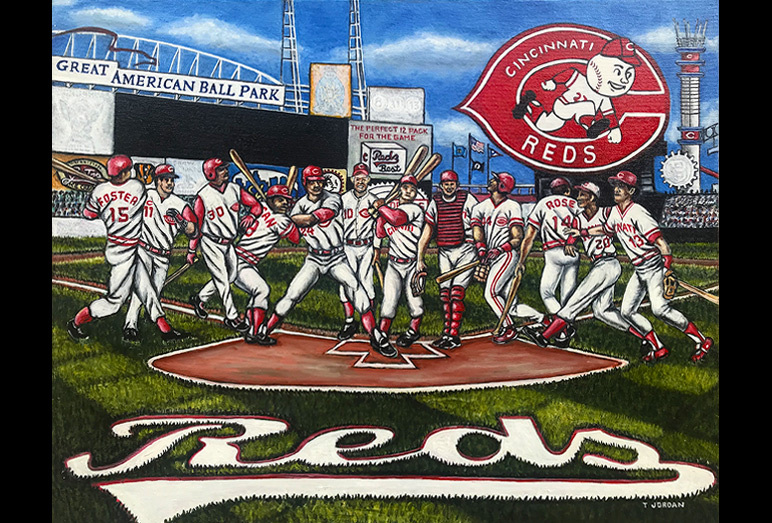 Tom is happy to finally offer a new Cincinnati Reds Tribute painting. 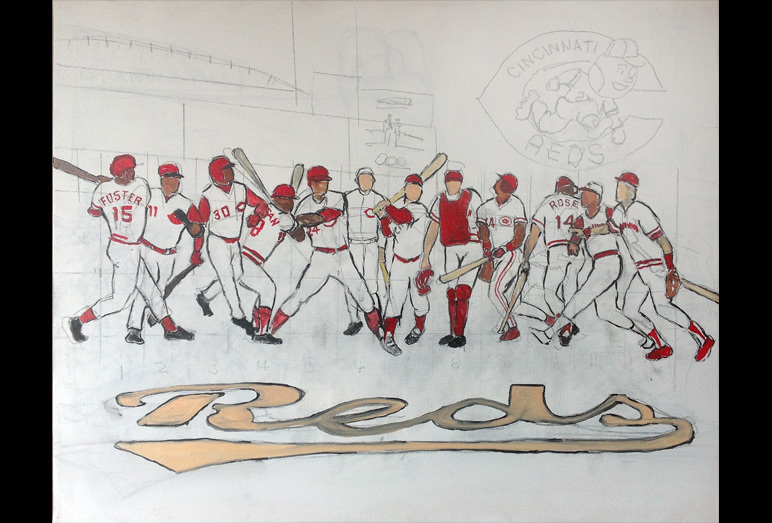 Whether they are called Red Stockings, Red Legs or The Big Red Machine by their beloved fans, they are the Cincinnati Reds. 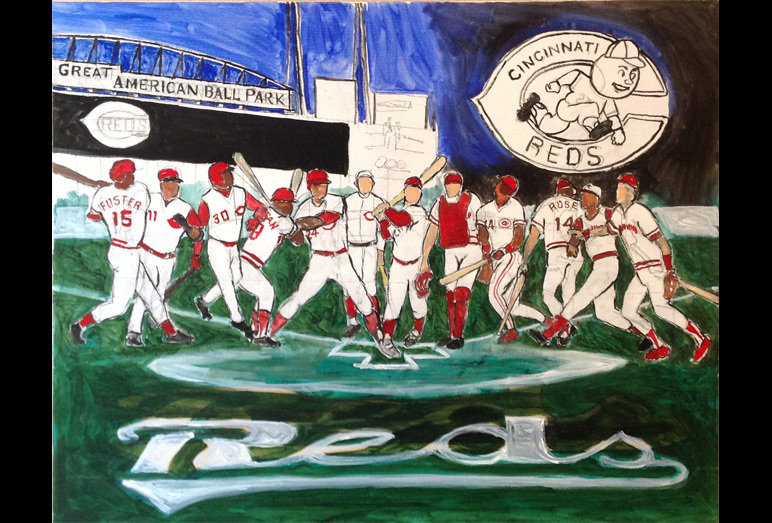 This storied major league franchise tribute has been years in the making. 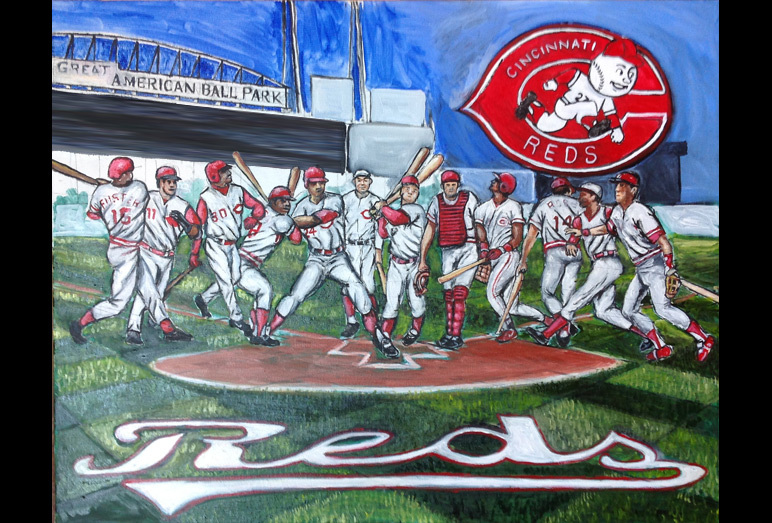 It is close to the point where most Reds fans will be pleased with the final outcome. 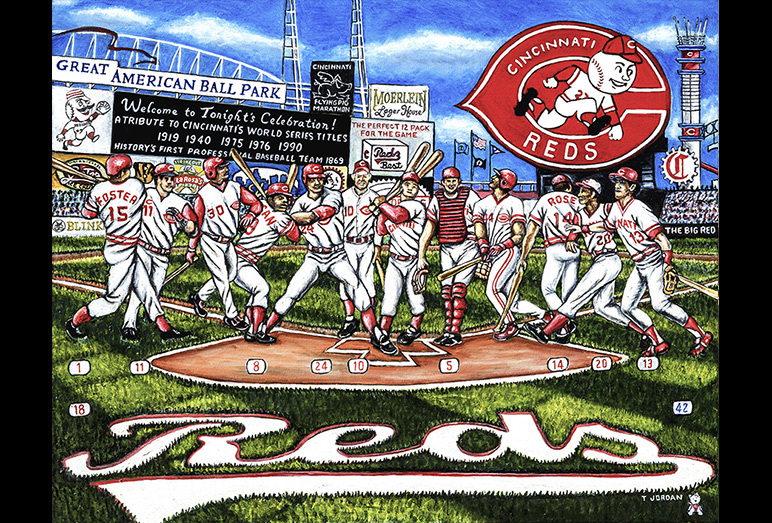 The "Perfect 12 Pack" best identifies the legends of the team. 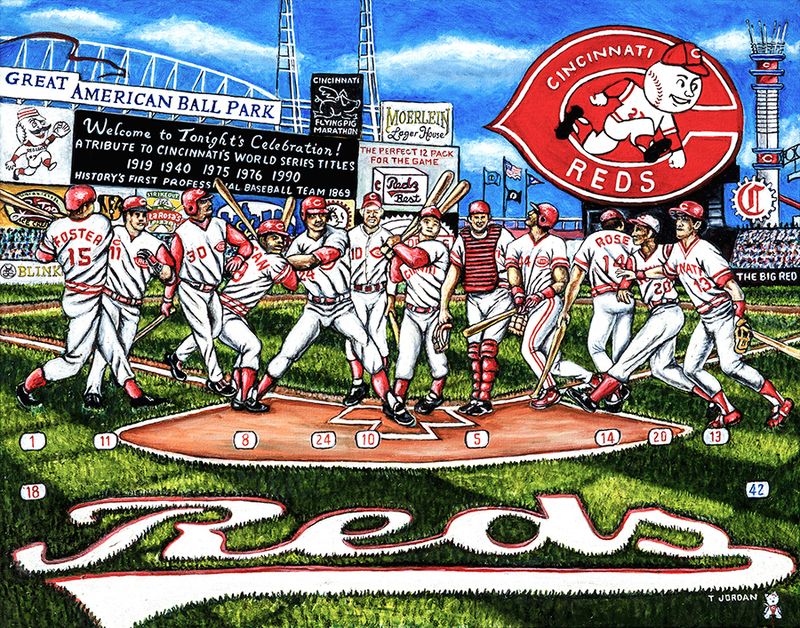 Look for the next update celebrating their five World Series titles, their legendary players, the retired numbers, and more on their home field, the Great American Ball Park!